Nigeria’s Minister for Sports, Solomon Dalung, has reacted to the intervention of the Vice President, Yemi Osinbajo which saved Nigeria from being suspended by FIFA on Monday. FIFA had threatened to suspend Nigeria from all her activities after the Amaju Pinnick-led executive board was prevented from carrying out its duties at the NFF. However, the sanction was averted after Osinbajo, in a letter to the world football governing body, declared the government’s support for the Pinnick-led board. 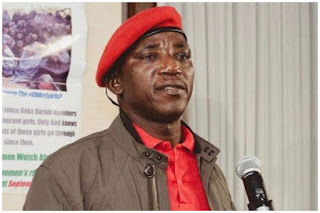 But Dalung, in a press statement on Tuesday, has said the issue cannot be resolved with short-term measures, insisting that the matter has a subsisting judgement of the Supreme Court of Nigeria. “This crisis cannot be solved with a temporary measure or scratched on the surface. The intervention of the Vice President should not be viewed as different from an attempt to abate an escalating situation. “I want to appeal to Nigerians to remain calm and give support to the NFF Elders Stakeholders Reconciliation Committee which is made up of reputable past presidents and General Secretaries of the NFF with vast knowledge, experience and competence to resolve this crisis once and for all. “We are a constitutional democracy and the doctrine of separation of powers is the foundation of democratic experience, therefore, the Rule of Law is the only mechanism that guarantees liberty and freedom of citizens. “This administration was elected on the change mantra meaning that impunity has no accommodation anywhere, so Nigerians must learn to believe and practice the doctrine of the Rule of Law. I believe we shall overcome this if we remain within the confines and dictates of the laws of our country. “As we celebrate Sallah, let’s remain law-abiding citizens,” Dalung said.